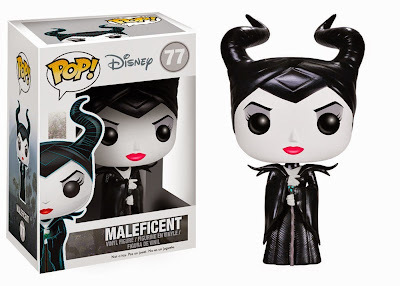 Funko has made many Maleficent figures, including this one with a white face. She's also sold on Amazon. They also made this Maleficent with a green face. She's also available via eBay. 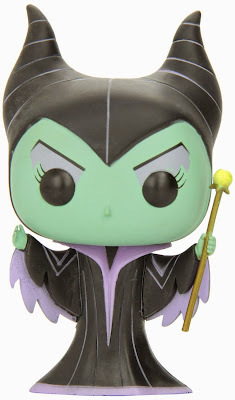 Funko started making a line of cute plush toys, and of course made a plush Maleficent. 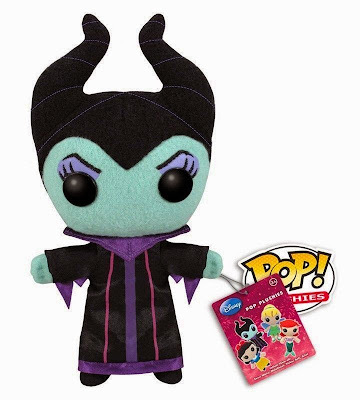 The plush Maleficent is also sold on Amazon. Note that sometimes she has a smiling mouth, and sometimes she has no mouth at all. I'm not sure why there are two versions. 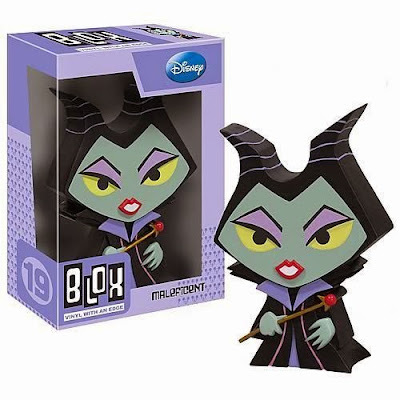 Now they've come out with this quirky Funko Blox Maleficent, too. She's also sold on Amazon. 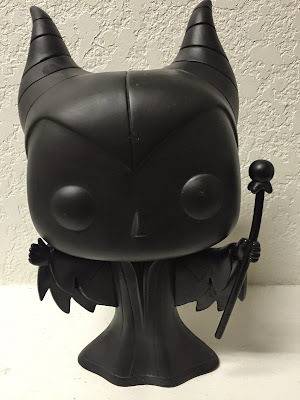 For really serious Funko collectors, here's a Maleficent prototype. Why am I thinking of The Gimp from Pulp Fiction right now? 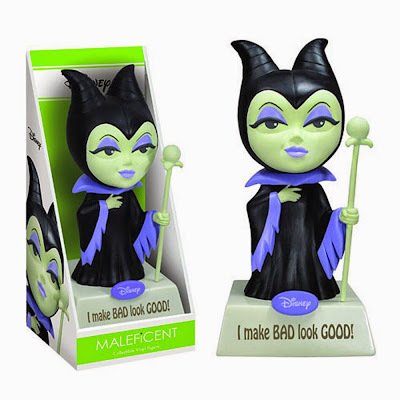 Maleficent says, "I Make Bad Look Good." I don't see the word Funko anywhere on the box, but apparently this is a retired (and I'd assume rare) figure they made for Disney years ago. Apparently they had a Wacky Wisecracks line.